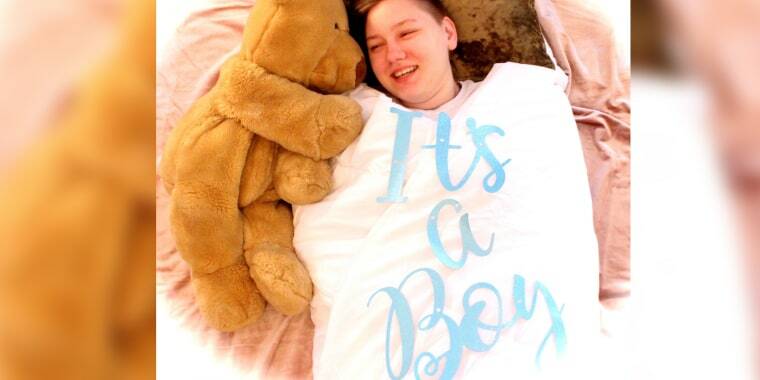 (TODAY) – Heather Lundberg Green was like any other proud mother when she posted pictures on Facebook filled with blue balloons as part of a gender reveal announcement for her son. The only difference is that her son, Adrian Brown, is 20 years old. 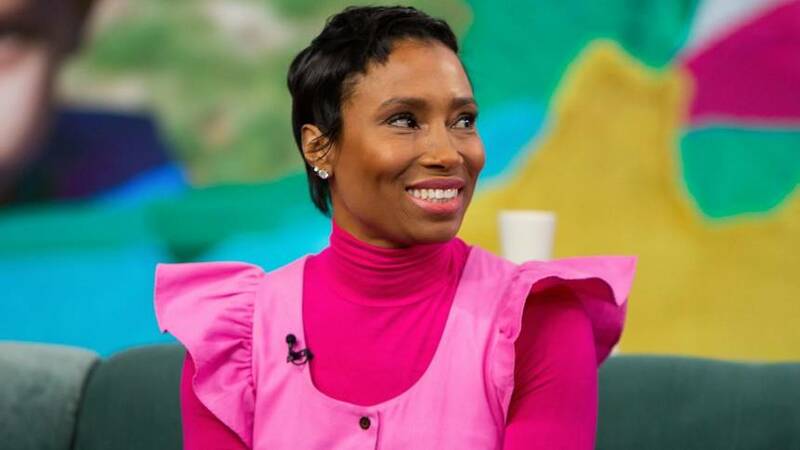 Brown came out to his family as a transgender man in September, which led to Green, 39, deciding to celebrate her son’s 20th birthday on Jan. 29 by putting the news out there for all of their family and friends in a fun way. The pictures of a smiling Brown swaddled in a blanket and holding blue balloons with Green and his younger brother, Lucas, 17, have led to an enormous outpouring of support since Green posted them on Facebook. “When your child comes out as trans, the best thing to do is create a photoshoot to celebrate the fact that he silently and bravely stepped out of the race that he never wanted to be in, found his own lane and proceeded to win,” Green wrote in the post. His reaction gave Brown, who grew up as Hannah, the courage to tell his mother that he is a transgender man. “I told him that I didn’t know how to react, but of course I was going to love him through this,” Green said. Green and Brown have received messages of thanks and hope from all over the world from transgender people and their families. A study released in 2018 by the American Academy of Pediatrics found that transgender adolescents have a dramatically higher rate of suicide behavior than the general population, particularly those transitioning from female to male. Brown thought his mother’s photo shoot idea was a little corny at first, but went along with it and had fun. 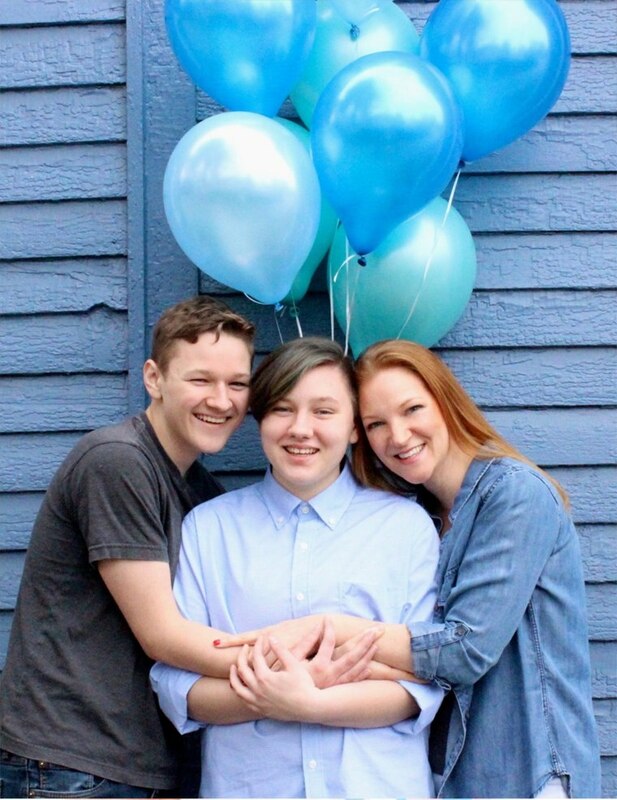 Kara Davis, 14, the daughter of Green’s boyfriend, Scott Davis, snapped the photos of the gender reveal. The most gratifying part for Green may be the change she has seen in her son since the viral Facebook post.